Tags: blind hiker, challenges, environment, safety, success, Team 2020. Why is our Mt. 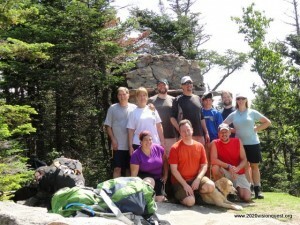 Waumbek success linked to Mt. Vesuvius and the alleged World's Greatest Traveller? Randy and Quinn on the trail. Our July New Hampshire heat wave is not untypical, nor is the choice to seek some solace from the heat by hiking amidst the elevation of a 4000-foot peak. Aware of the real dangers of heat exhaustion or heat stroke, we were relieved to have an early morning shower easing the challenge and risk. 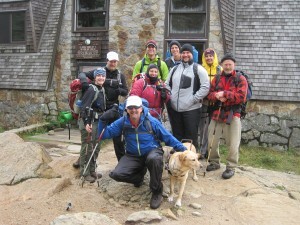 Our task was to hike a longer distance on some generally moderate trails to the summit of Mt. Starr King and then along the ridge to Mt Waumbek. The mostly wooded course would limit the relief of wind on our long humid hike, and we expected the heat to be our larger challenge. Mt. Waumbek is part of a ring dike complex, which means it was formed by volcanic activity. In fact, it bore Pliny Major as its name for many years in honor of Pliny the Younger, a Roman who provided the only written eyewitness testimony of the infamous eruption on Mt. Vesuvius in 79 A.D. Vesuvius, at 4206 feet, is a similar height to our climb, and the tale of James Holman humbles each and every one of my efforts. He was the first blind person to summit Mt Vesuvius and he did so while it was still active. 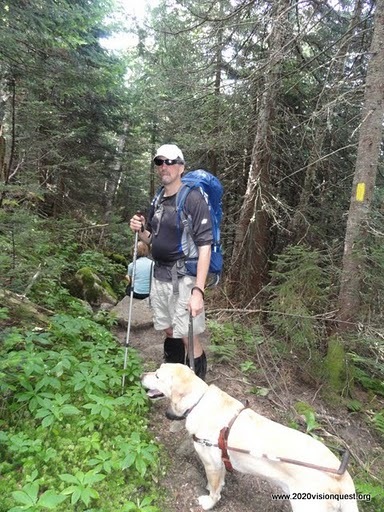 The tale of his life is remarkable, and during that particular expedition, he dealt with a fair bit more than our July jaunt in the White Mountains. Still I’m quite proud of the nine friends who joined Quinn and me, and overcame the heat of our journey. A diverse group shared a collection of wilderness and life details as we took up the steady climb to the Chimney overlook of the Northern Presidentials from the summit of Starr King. One of the gentlest ridge trails brought us to a vastly restricted view from the wooded summit of Waumbek. While the light breezes did cool some, the heat was steady from the high noon sun. As we returned at a comfortably quick pace, we left the elevation-gained coolness. As a group, we had plenty of water and we supported each other well, yet as we reached the relief of the trailhead, I could still feel the light touch of some heat exhaustion. I needed an electrolyte boost and the cooling benefit of an ice pack on the back of my neck to regain full comfort. Even one of the gentler challenges of the 48 teased us with a lesson in respecting all factors that can place a hiking group risk. I’m certainly no James Holman, and unlike him, I had a fantastic team of support throughout this day. I respect and appreciate the experience with the people and the mountain, as well as all of the hikes past and in the future. Each hike to come will have unique rewards and challenges, and Mt. Waumbek has now carved out its place on our path! Tags: community, Fundraising, Inspiration, Peak Potential, Support, Team 2020. Help 2020 Achieve Peak Potential! 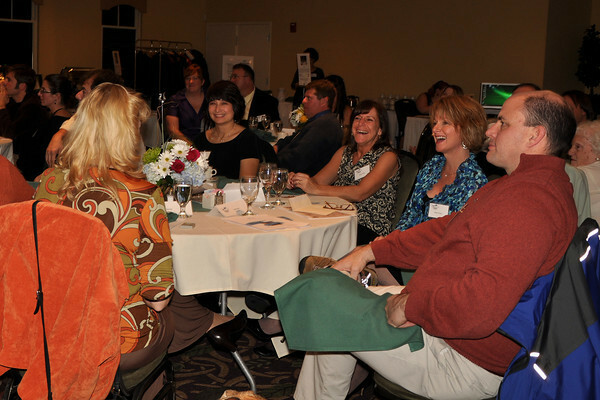 It’s not too early to save the date (and buy your tickets) for this year’s Peak Potential Charity Dinner & Auction, in celebration of 2020 Vision Quest’s 2011 season. Peak Potential 2010 was a huge success for us and this year promises to be even bigger and better! We’re returning to The Derryfield in Manchester, NH, with its beautiful views of the Derryfield Country Club, on Saturday, November 12. We kick off the event with hors d’oeuvres and a preview of our auction items at 6:30pm, with dinner seating at 7:00pm. Festivities run until 11:00pm. Ticket prices are $100 each, or $175 per couple. For the best price, you and seven friends can grab a table of your own for $600 ($75 per person). Last year’s menu was popular enough that we’re sticking with it – you have a choice of Pan Roasted Salmon, Cranberry Walnut Chicken, Prime Rib, or a vegetarian Spinach Stuffed Tomato. There’s a cash bar available and we’ll have DJ Will Utterback returning to keep things hopping with music from the 60’s to today. Our auction includes numerous silent auction items and a few special “package” deals that will be bid on in a live auction during the dinner, with Randy (and Quinn) as our auctioneers. If you or your business has something to donate for the auction, let us know. Some of our most sought after items are event tickets, travel related items, meals at a favorite restaurant, spa services, and so on. Not sure if it’s right for us? Ask! All these things have been possible with the generosity of our donors, and through fundraising events such as this one. Buy your tickets online or by mailing a check to us at 2020 Vision Quest, 109 E. Glenwood Street, Nashua, NH 03060 (be sure to tell us it’s for Peak Potential and let us know your meal choices). Join us in this year’s celebration!